CALL (801) 396-2446 for details! Airtime Heating & Cooling offers residential and commercial HVAC services in Bluffdale, Draper, Lehi, Riverton, and other locations in Utah. Whether you’re installing a new heating and air conditioning system or need your existing unit serviced, you can count on our experience and professional expertise. Give us a call and we’ll do our best to meet and exceed your expectations. 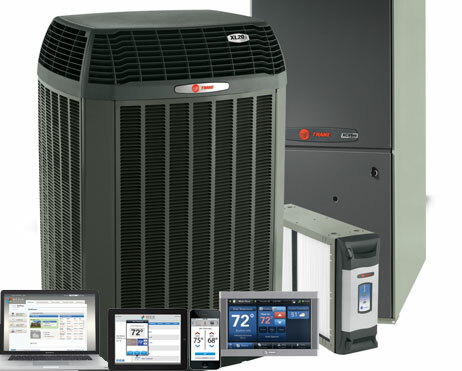 Airtime Heating & Cooling sells and installs high quality, ENERGY STAR-rated HVAC systems from some of the most trusted local and global manufacturers. We provide fast and reliable HVAC service throughout all of Utah. Whether it’s time for routine maintenance or your system needs immediate repair, call us today. We’ll respond to your request as quickly as possible. Our team aims to keep you comfortable indoors. Our HVAC services in Riverton, for instance, let you enjoy the hot summer days because you won’t need to worry about rising temperatures ruining your indoor activities any longer. Meanwhile, keep cozy during the winter as you celebrate the holidays with our furnace tune-ups and heater repair and replacement solutions. Breathe in clean air and keep dust from accumulating on your furniture with our indoor air quality solutions. Whatever the season, count on us for a pleasant living space. We’re just a call away. With our professional team and quality products, we ensure the health of your family and employees. Avoid heatstroke, heat exhaustion, and other heat-related problems during sunny months with our HVAC services in Draper. Shield your family and staff from diseases that are triggered or exacerbated by the cold weather, such as sore throat, asthma attacks, and painful joints, with our heater replacement and repair services. Clean Effects, our indoor air quality solution, removes pollutants, allergens, and most airborne bacteria and viruses from the air. We help you build a healthy haven for your family and business. Other than providing you with comfortable, healthy living spaces, our services help keep your energy bills down. A faulty AC or heater may consume more energy than it should, without keeping the proper temperature. Count on our AC and heater repair services to fix the issue efficiently so it won’t worsen in the long run. You don’t have to wait for problems to arise, though. Sticking to a strict AC maintenance schedule can prevent problems (and money drains) from happening. Regular tune-ups also help you save money in the long run; by taking advantage of our airconditioning and furnace tune-ups, you improve efficiency and prolong the units’ lifespans. Avoid having to buy new units every time the current one breaks down. If you need repair and tune-ups for your furnace or HVAC in Riverton, look no further than our reliable technicians. We offer competitive pricing so our installation or repair service is budget friendly. We aim for high quality and affordability in every contract or transaction. Visit our ‘Specials’ page to view all of our money-saving offers. Use your Wells Fargo Home Projects credit card to pay for your HVAC projects in Draper, Lehi, Riverton, Bluffdale, and other locations in Utah.